Preheat the oven to 375 F. Remove the foil wrapping from the Hershey’s Kisses. In a mixing bowl combine all the ingredients, except the Hershey’s Kisses, and mix. Scoop the mixture onto greased cookie sheets, in rounded tablespoon sized scoops. Leave about 2 inches between each cookie. Bake for about 8-10 minutes, or until the cookies are golden brown. 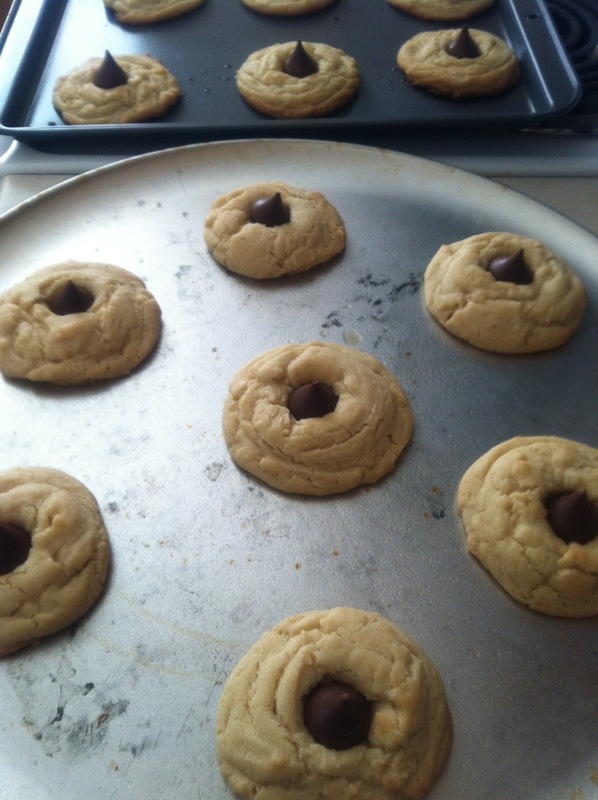 Remove the cookies from the oven and place a Hershey’s Kiss in the center of each cookie, before they cool. Allow the cookies to cool for about 5 minutes and then remove from baking sheets and place on a cooling rack.